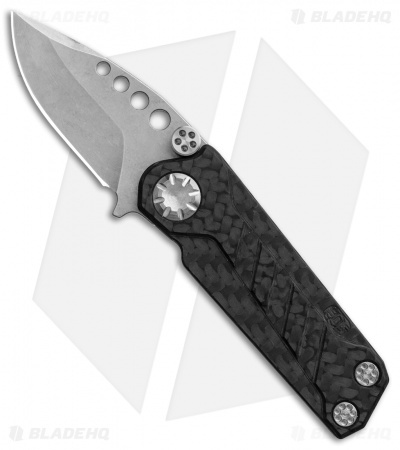 This EOS Prawn friction folder has a carbon fiber front and a black anodized aluminum back handle. It sports a drop point blade made from durable D2 tool steel in a stonewashed finish. 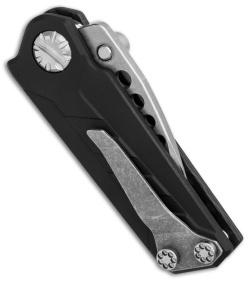 While the knife doesn't lock, the blade can be held open or closed by adjusting tension on the thrust washers. 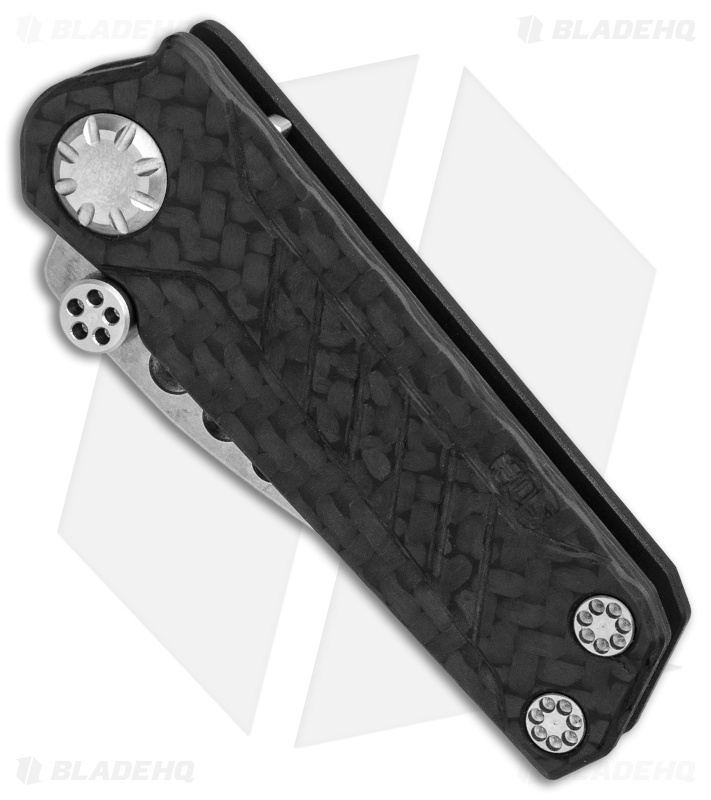 The Prawn's compact build allows easy carry in a backpack, gear bag, or pocket. D2 steel blade provides outstanding toughness and edge retention. 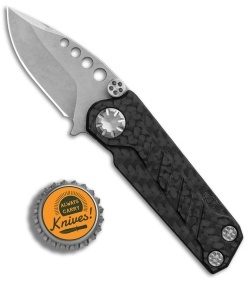 Carbon fiber handle construction for a durable, lightweight frame. Tip-up titanium pocket clip allows secure everyday carry.